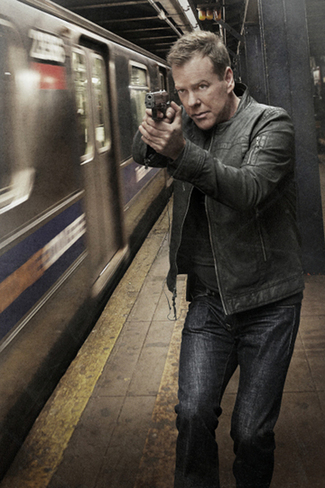 It’s official: Fox announced today that the 24 season eight finale will also be the show’s series finale. The good news: We’ll finally get to see what Jack Bauer (Kiefer Sutherland) can do on the big screen. The bad news: The best drama in TV history will be no more after the May 24 series finale. Here’s the network’s official press release announcing the series finale … who else is sad to see the show go? Now in its eighth season with Kiefer Sutherland starring as the heroic Jack Bauer, the inventive and suspenseful 24 has been nominated for a total of 68 Emmy Awards, winning for Outstanding Drama Series in 2006. Over the course of seven seasons, Sutherland garnered seven Emmy nominations and one win for Outstanding Lead Actor – Drama Series. While the series gained global recognition, Sutherland’s portrayal of the legendary character penetrated the American psyche like no other dramatic television character to become part of the English lexicon. Premiering November 6, 2001, 24 employed a pioneering split-screen, fast-paced format with complex interweaving storylines as viewers followed anti-terrorism agent Jack Bauer through 24 pulse-pounding episodes, each covering one hour and presented in real time. Subsequent seasons combined the show’s unique and trend-setting format while delivering compelling new elements and attracting talented actors and guest stars, including the Emmy Award-winning Cherry Jones (President Allison Taylor). The series also currently stars Mary Lynn Rajskub (Chloe O’Brian), Anil Kapoor (Omar Hassan), Annie Wersching (Renee Walker), Katee Sackhoff (Dana Walsh), Mykelti Williamson (Brian Hastings), Freddie Prinze Jr. (Cole Ortiz), Chris Diamantopoulos (Rob Weiss) and John Boyd (Arlo Glass). 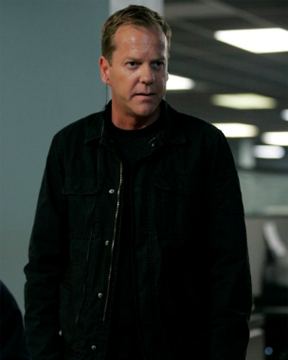 The first six seasons were set in Los Angeles, and following the strike-induced delay of Season Seven, “24: Redemption,” a two-hour film bridging Seasons Six and Seven, was set in Africa. 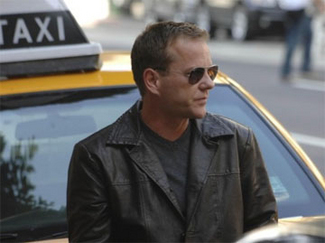 Washington, D.C. was the setting for Season Seven, and the final season of 24 finds Jack Bauer thwarting a terrorist attack in New York. 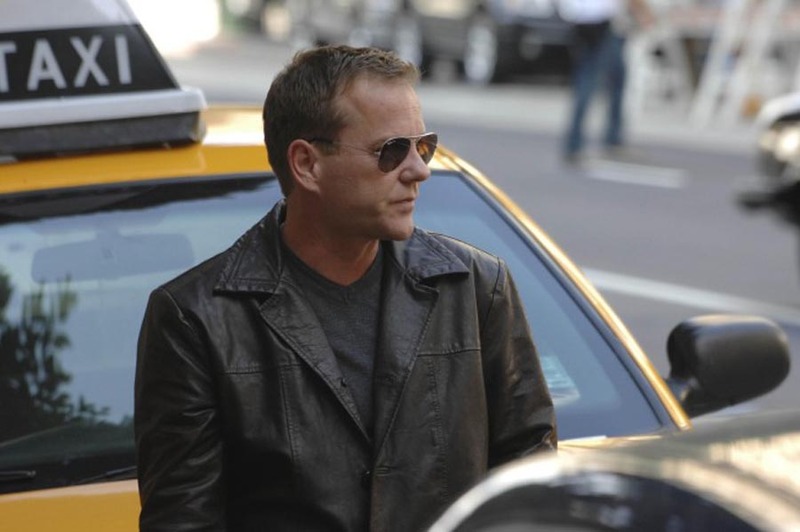 At the conclusion of Season Eight, 24 will have a produced a total of 194 episodes (including “24: Redemption”), making it one of the longest-running action television shows in history. Tune in Monday, March 29 (9:00-10:00 PM ET/PT) for the next all-new installment of 24 and Monday, April 5 (8:00-10:00 PM ET/PT) for a special two-hour episode. Created by Joel Surnow and Robert Cochran, 24 is a production of 20th Century Fox Television and Imagine Television in association with Teakwood Lane Productions. Howard Gordon, Evan Katz, David Fury, Manny Coto, Brannon Braga, Brad Turner, Alex Gansa, Kiefer Sutherland and Brian Grazer are executive producers, while Chip Johannessen and Patrick Harbinson serve as co-executive producers. Brad Turner will direct the series finale. – It’s looking more and more like the current season of 24 could be the show’s last one, at least on Fox. It’s my all-time favorite TV drama, but even I have to admit that the show just isn’t as compelling as it once was (though the last few episodes have picked up the pace). A big-screen 24 is almost certainly going to happen, and the idea has even been floated that another network might be interested in the Jack Bauer (Kiefer Sutherland) action series if Fox does pull the plug after the May season eight finale. – Fans took it to Facebook, and Lorne Michaels listened: Betty White will host the May 8, Mother’s Day, edition of Saturday Night Live, which will also include a reunion of SNL alums Tina Fey, Molly Shannon, Amy Poehler, Maya Rudolph, Ana Gasteyer and Rachel Dratch. – It’s official: Conan O’Brien and “The Legally Prohibited from Being Funny on Television Tour” is coming soon to a city near you. Tickets are already on sale. – Coming soon to a bookstore near you: Night of the Living Trekkies, a novel about zombies and a Trek fan convention. – Sad news from sports and TV lands: NFL Hall of Famer and Little House on the Prairie and Father Murphy star Merlin Olsen died earlier today after a battle with cancer. He was 69. – Survivor and The Apprentice producer Mark Burnett is producing a new game show that will feature two hosts. – Rejoice Felicity fans: Keri Russell is headed back to primetime. – As is Jimmy Smits. – This should be cool: CBS is going to broadcast the NCAA men’s basketball final four tournament games and the national championship game in 3D, in movie theaters all across the country. – And, just in time: Panasonic sold the world’s first 3D home entertainment system in New York City on Wednesday. Cost: $2,900, and that only includes one pair of special 3D glasses. – Among the new shows Bravo announced in the network’s annual upfront presentation in New York on Wednesday: The Real Housewives of Beverly Hills, Fashion Masters (sort of an all-star Project Runway) and Hitmakers (sort of an American Idol for singer/songwriters). – And the 14th season of South Park premieres on Comedy Central on March 17 (10PM ET), and Park creators Matt Stone and Trey Parker talked to the New York Times about what’s ahead for the series, including their unique spin on the clip show, which will be the theme for the show’s 200th episode on April 14. Filed in 24, Ya Gotta See This! – 24 season eight: a month and a half away. But new promo photos from the new season: just a click away. – FX has confirmed their midseason premiere dates, including Jan. 6 for the rollout of the last batch of Nip/Tuck episodes (has that show gotten even crazier this year, or what? It’s like watching Oz again with that Matt storyline) and Jan. 25 for the third season premiere of Damages. – A reality star – from VH1’s Tool Academy – has crawled out of the woodwork (well, she’s crawled out of somewhere) to claim she’s been having a years-long affair with the suddenly beleaguered Tiger Woods. – It’s official: Thanks to the World Series, Fox nabbed its first-ever November Sweeps win. – Good news: The Reeg‘s hip replacement surgery went off without a hitch. – Reality TV star and tabloid magnet Nicole Richie, who guest starred in an episode of Chuck, will star in an ABC sitcom pilot loosely based on her own life and wacky family background (she was raised by pop star Lionel Richie and his ex-wife after friends of the Richies allowed the singer and his wife to adopt Nicole). – Poor Zack Morris. TBS has canceled the legal drama Raising the Bar. – CBS’ Three Rivers is also on the chopping block, as the network has yanked the medical drama from its schedule, effective this Sunday. – Does anyone still care about American Idol season three winner Fantasia? IF so, mark Jan. 11 on your calendar; a new VH1 reality series, Fantasia For Real, premieres that night and updates fans on her life as a single mom and her musical career. – Think getting one of those tricked out houses on Extreme Makeover: Home Edition is a blessing? Not for every family, turns out. – Will Adam Lambert make a guest appearance on Gossip Girl? If he has anything to say about, yes, as he’s a self-admitted “geek” for the show. – And tonight in primetime: The Sons of Anarchy season two finale at 10PM ET (FX).